The office building housing Senator Michael Bennet’s staff was an overly air-conditioned palace; a constant buzz of urgency reverberated through the network of underground tunnels; the thick, gold-plated walls hummed with it. I was allowed to pretend that I shared in the power, responsibility, and prestige. In reality, I spent much of the internship answering phone calls. What do you say to that? There was no time to console people. The lines were always blinking, phones ringing off the hook. “What can I do? My two-year-old daughter is alive because of Medicaid. My wife and I are musicians. We’re doing everything we can, but we can’t afford her surgeries. I’m calling every day, but what else can I do?” I felt nauseous listening to myself tell him to call Republican senators, and to write his story down and mail it in. “And I’ll pass your story along to the Senator,” I assured him, the lie catching in my throat. His desperation on one end, my helplessness on the other, the lie filling the miles between us. I could hear his daughter in the background. Her name was Pearl. Despite the gravity of their situations, they were talking to me: the nineteen-year-old unpaid intern marking down another tally—healthcare bill no—on a pink sticky note which, most days, got thrown out. Theoretically, I was the liaison between constituents and their representative. In reality, I was the void into which these people were shouting. Every Thursday, I sifted through overloaded mail archives for letters. The senator read ten letters per week as an homage to the Obama administration, which set the precedent. On the plane to Denver, the Senator would leaf through the stack and soak in the words of the most eloquent of his constituents. A woman sent a letter to the Senator entitled, “I am a Republican Medicaid Mom.” Her son was born prematurely, she explained. He will never know what it is like to ask a girl to senior prom. He will never get married. He will never fall in love. He will never, he will never, he will never…but Medicaid gave us the years we had together, and for that I am grateful. He died last year, she said. My mouth went dry. The next week I transcribed an interview in which the Senator cited her story as a passing anecdote in a long, frustrating conversation. He did his homework, but all it amounts to is one token story—a highlight reel for the office’s hashtag #VoicesofCO. And this passing comment was the largest platform any story I heard this summer had. In this sentiment there lies a strain of patriotism as divorced from a history of hate as possible: the skeleton of this country is a republic that will survive only if we can stop divisiveness from spreading to the bones. And yet for me, it is not freedom of speech or checks and balances that make up the core of America. It’s the stories; they pile up like ribs—mostly detached, floating. 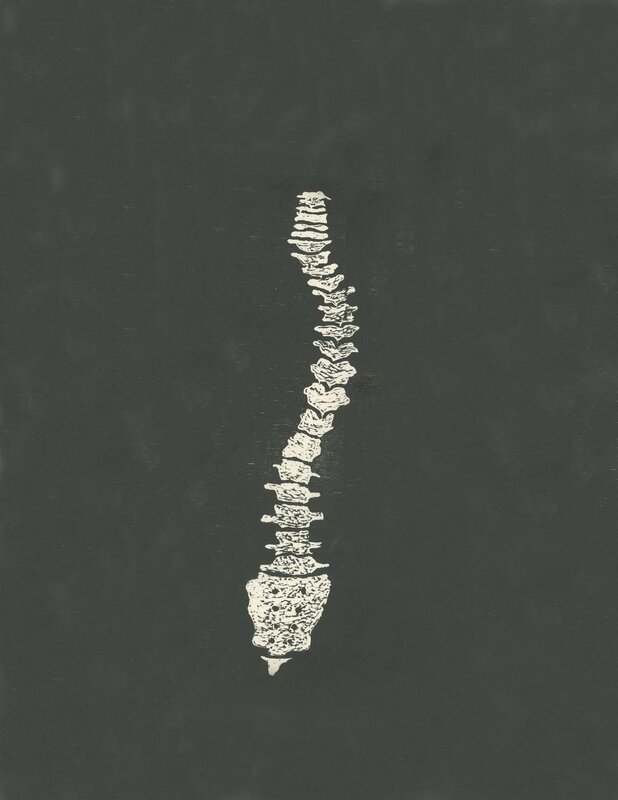 It is at the spine that the scattered voices intersect, finding some anchor: each vertebrae a voice of solidarity, of desperation, of persistent hope. As we scramble to hold together a country divided, D.C. needs to be the strongest backbone it can be: a forum for translating these isolated anecdotes into political influence. Yet as the government folds in on itself, constituents’ desperate signals are lost in the political noise. But there is potential for democracy to function more like the fair dialogue we wish it could be, and we can find that potential in the cracks themselves—in the system’s signs of failure. It exists in the pages of the novels littering the Senator’s office, in the clicking of keyboards as the staff works after hours. It exists in the failing but persistent efforts of one Senator, a handful of unpaid interns, and hundreds of constituents sharing stories. However crumpled, there is a trace of democracy in the little pink sticky notes piling up in the trash: healthcare bill no. The summer unveiled to me a scathing but hopeful perspective on our American wreckage. But despite the Senators’ hope, it is a wreck. And despite his stoic demeanor and gentle, grounded leadership, Senator Bennet is a wealthy guy who flies home to Denver’s most upscale suburbs every weekend and then back to a quickly gentrifying D.C. The fact that he reads constituents’ stories in the airspace between Colorado and D.C. doesn’t really bridge the gap between them. Even as he reaches to shrink the space between representatives and constituents, D.C. and Denver, crooked spine and cracking ribs—he simultaneously deepens the divide. And he is chained to these circles not only by his own privileged identity but also by the necessity of political survival. It’s fitting, at least, that it’s in the space and time between D.C. and Denver that the stories are heard. The few letters that make it into the Senator’s hands float in the chasm between D.C. politics and American experience. Thousands of feet in the air, a Senator is trapped between representing people and operating in a political world almost tangential to the one we live in. Thousands of feet in the air, people’s stories are trapped in the same limbo—stopped short in the gap they hope to bridge.